Biomedical Letters publishes articles under the Creative Commons License Licensed under the Creative Commons Attribution-NonCommercial 4.0 International License. Biomedical Letters (BML) is an international, multidisciplinary, peer reviewed English journal that publishes original review articles, research papers, short communication, case reports that encompasses all fundamental and molecular aspects of basic medical sciences, emphasizing on providing the molecular studies of biomedical problems and molecular mechanisms. The journal provides an open online platform to share around the globe latest anatomic pathology, biochemistry, genetics, immunology, microbiology and virology, molecular, cellular and cancer biology, neurosciences, pharmacology, physiology and improved disease diagnostics procedures. To reflect the rapid progress underway in both biomedical sciences and publication technology, Biomedical Letters will further enhance the environment for future academic communication by attracting more high quality articles and expanding its distribution to a multidisciplinary readership. 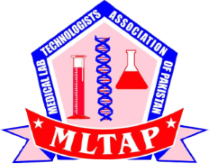 Biomedical Letters journal is now affiliated with Medical Laboratory Technologists Association of Pakistan (MLTAP).